MD2 Library 2.0 has been out for a while now (download here), but I haven’t had the time to update this blog! It’s a free download for all iPad users, and, at the time of writing, all iOS versions are supported (from 3.2 up to 7). 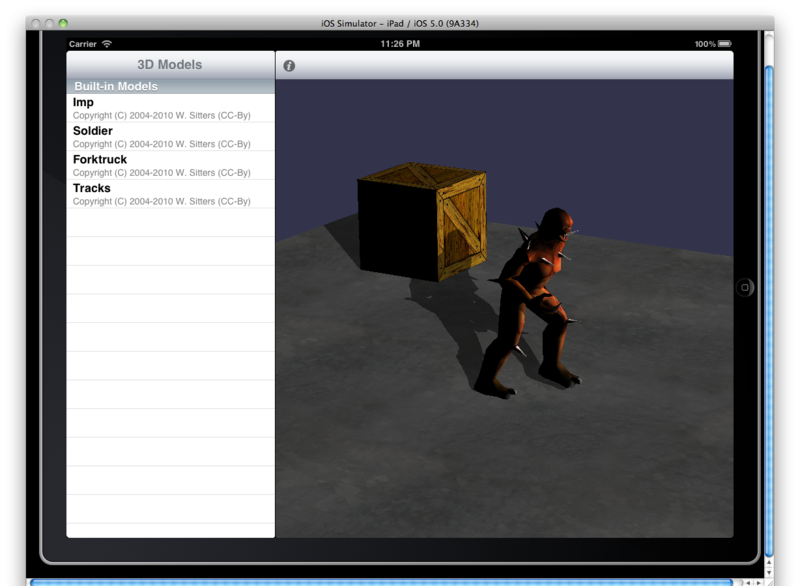 MD2 Library 2.0, powered by Vortex 3D Engine 2.0. Per-pixel lighting with specular highlights. Realtime Shadows (on iOS ≥4). I took advantage of this due update to vastly improve the internal architecture of the App. The latest features in the Vortex Engine enable providing a much better user experience from an easier codebase and leveraging a simplified resource management scheme. Head to iTunes to install for free or, if you have version 1.1 installed, just open up the App Store to update the App.